According to a release, the upcoming publication will carry on the tradition of informing visitors about all the exciting things to see and do, while presenting a fresh take on the best experiences found throughout the territory. 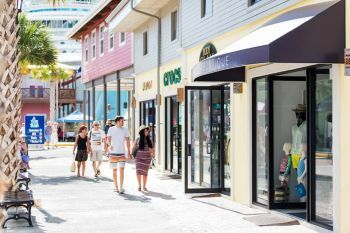 “The richly illustrated book will highlight local personalities and capture the beauty of the islands with captivating photographs, engaging stories and valuable information about shopping, dining, activities, attractions and so much more,” the release noted. “We are very excited about this new publishing partnership with NSN,” says Nona Vanterpool, Chairwoman of the BVICCHA. The annual publication will be available in November 2019, with a celebratory launch party planned. FACT I travel around the world and see these publications in all the hotel rooms, most I never even read and only sometimes I flick through, but never do I get an idea of something to do in the place I have planned to visit, because I have PLANNED before I arrive in my hotel room. The WELCOME magazine has been doing exactly this for decades, and doing it beautifully! they used to do it well, now unless you advertise with them you are not mentioned and so it is no longer a Welcome magazine for the BVI but just an advert for their sponsors. I enjoy reading hotel books and planning all my excursions and dinner outings. My husband and I have been visiting the BVI for many years and we love sailing the islands - the only thing we reserve before we get there is the charter boat and then we plan the rest as we go.